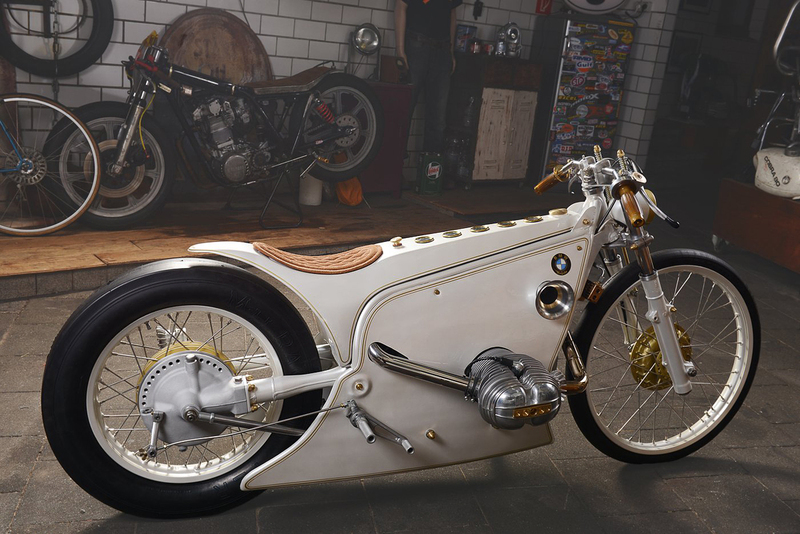 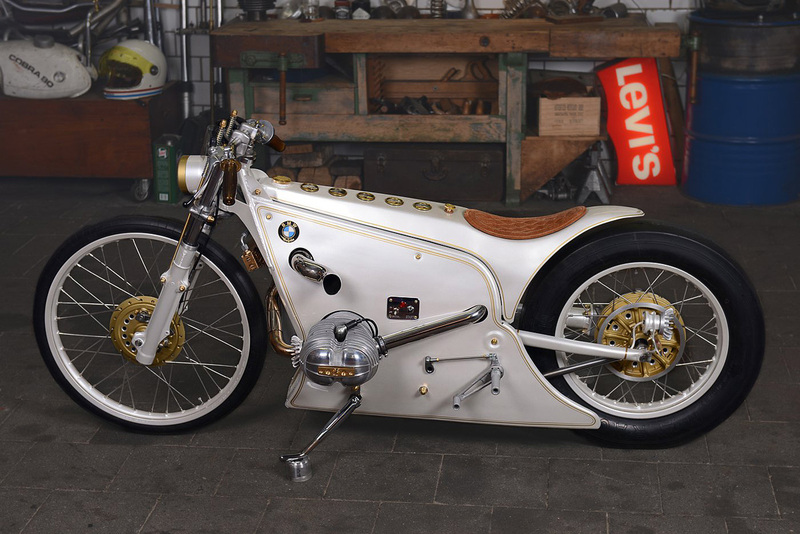 German workshop Kingston Customs created stunning motorbike named White Phantom Motorbike. 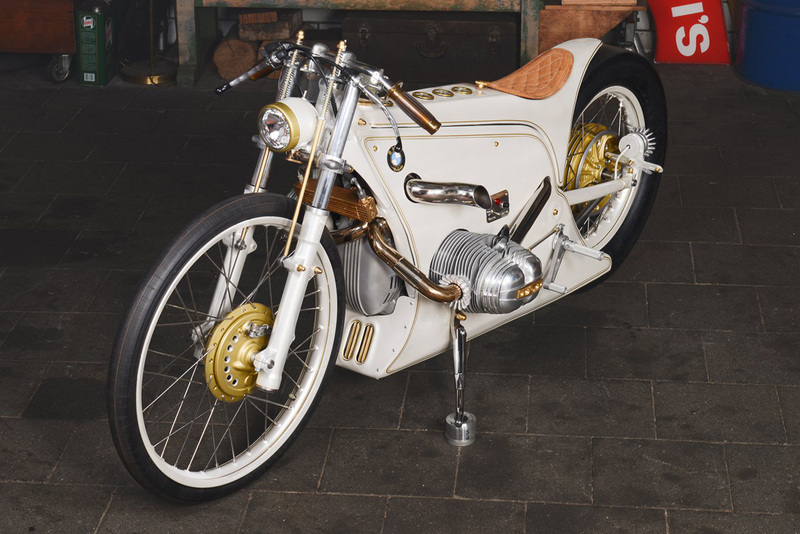 This motorbike was stemmed from BMW R80RT donor bike. 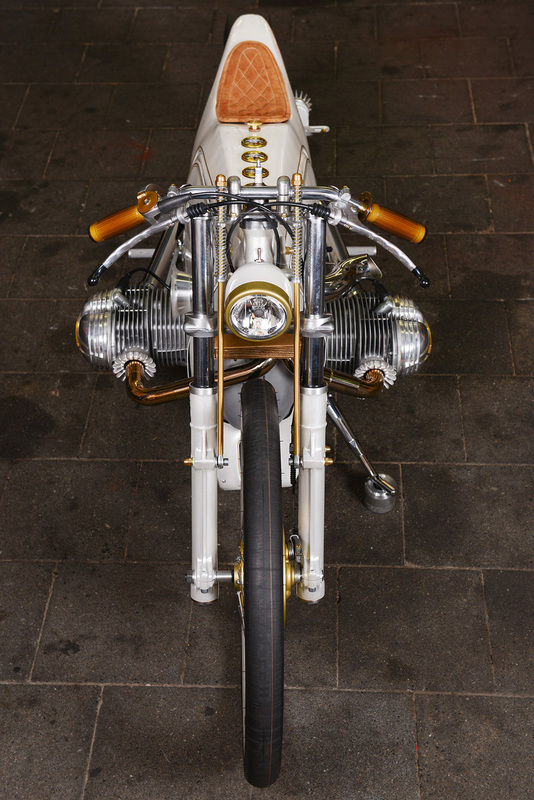 Boasting a 798cc boxer engine that packs quite a punch and a single, horizontally mounted, turbo which is spooled-up by a short pair of headers, this breathtaking machine rides almost as fantastically as it looks visually. 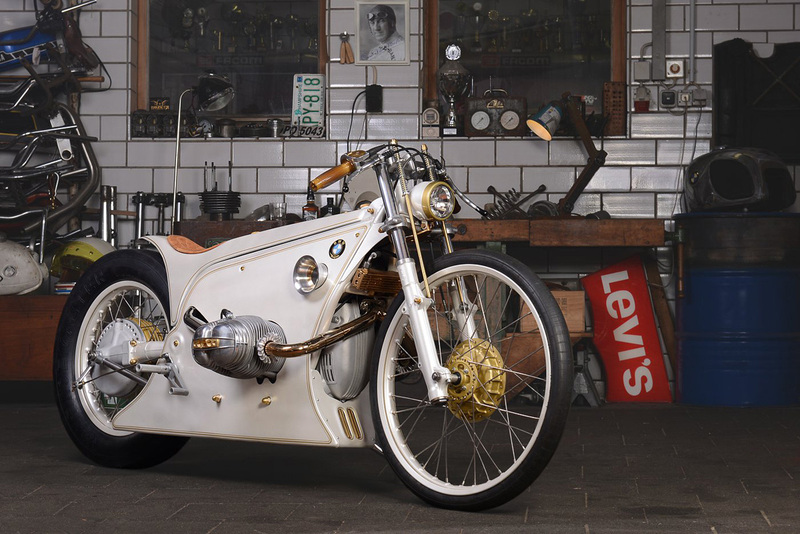 The Kingston Customs White Phantom Motorbike is a vintage looking piece of stunning minimalist design which is almost unrecognisable from the bike on which the customization project began. 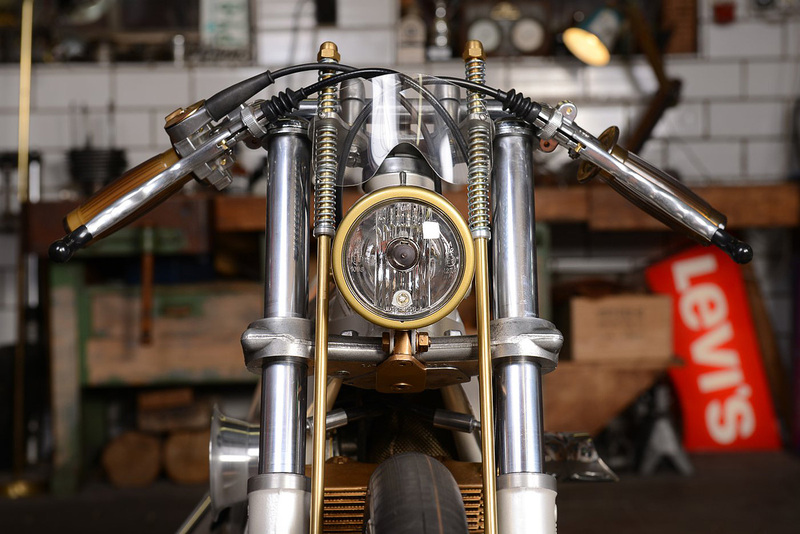 Luxurious and impeccably well crafted, this first rate steed will turn heads everywhere you go and we’re loving the sheer attention to detail that has gone into every element of its crafting. 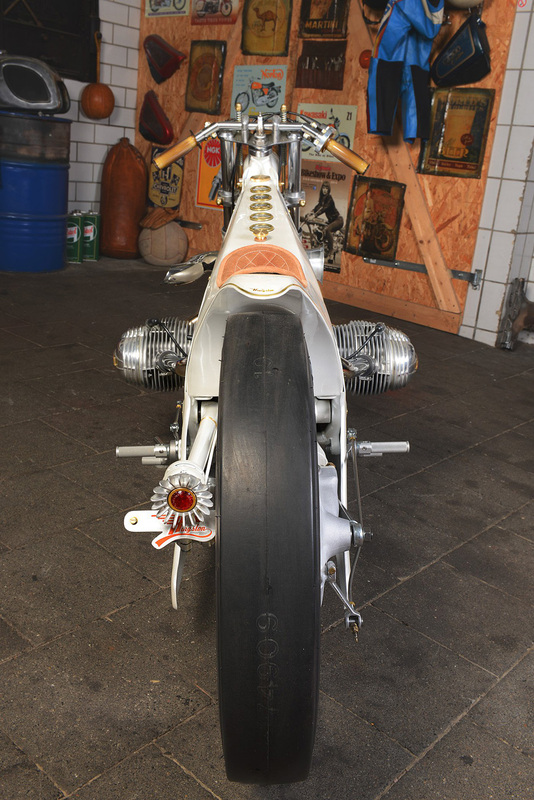 The bike has a fairly simple frame structure that helps improve the performance of the bike and it offers a striking shield which has been coated with a composite material which is commonly used in Formula 1 in order to prevent wires from melting and float bowls boiling and the end result is a contraption that is unparalleled from a visual point of view. 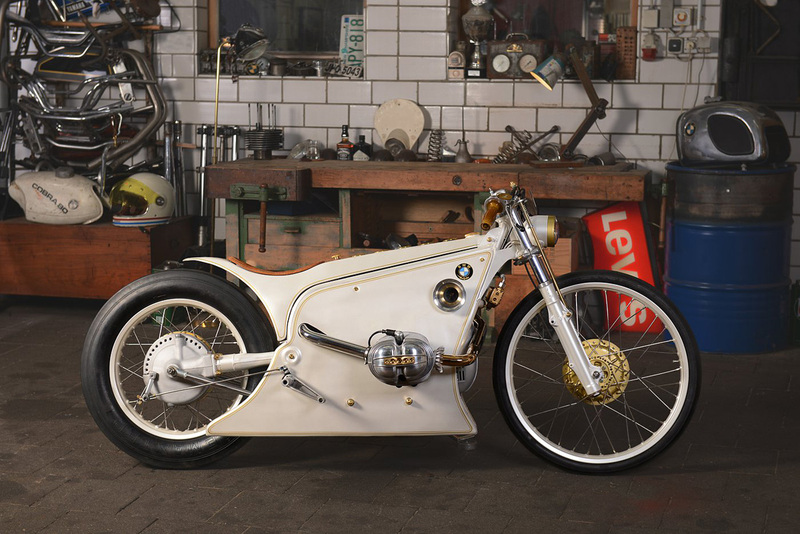 The White Phantom Motorbike is merely one in a long line of awesome looking machines and for those with a thing for vintage, cafe racer style bikes, you’re not going to find many rides more extraordinary than this one from German workshop, Kingston Customs.